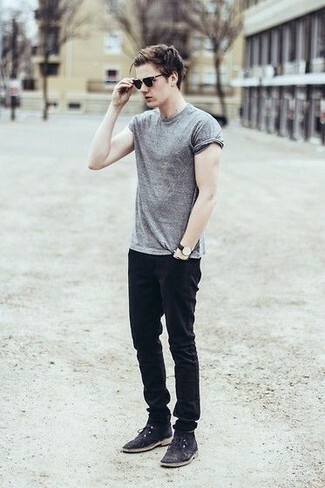 If you prefer relaxed dressing when it comes to your personal style, you'll love this on-trend pairing of a grey crew-neck t-shirt and black skinny jeans. You could perhaps get a little creative in the shoe department and lift up your look with dark brown suede desert boots. 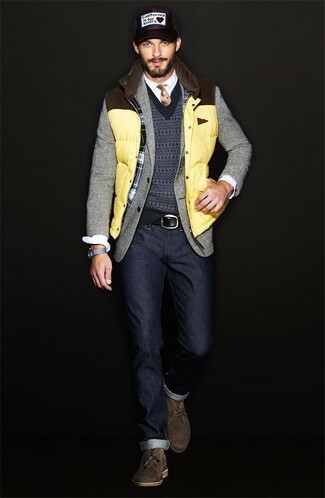 For a smart casual look, consider pairing a grey wool blazer with navy jeans — these two pieces go beautifully together. Andrew Marc dorchester chukka boot from Nordstrom work spectacularly well here. 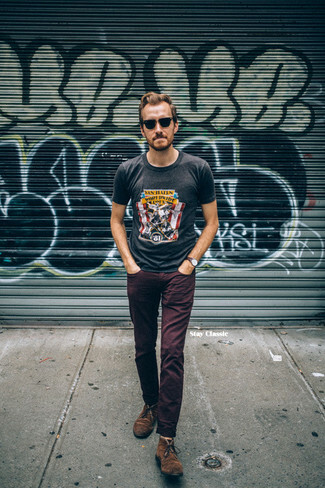 If you're after a casual yet stylish ensemble, dress in a charcoal print crew-neck t-shirt and burgundy chinos. Both garments are totally comfortable and will look great together. To add elegance to your getup, round off with Andrew Marc dorchester chukka boot. 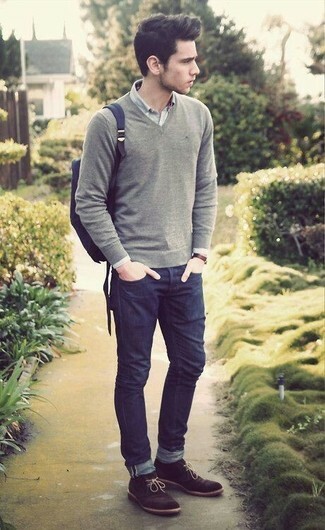 If you're scouting for a casual yet dapper ensemble, make a grey v-neck sweater and navy jeans your outfit choice. Both items are totally comfortable and will look great together. When it comes to shoes, this outfit is finished off well with Andrew Marc dorchester chukka boot. 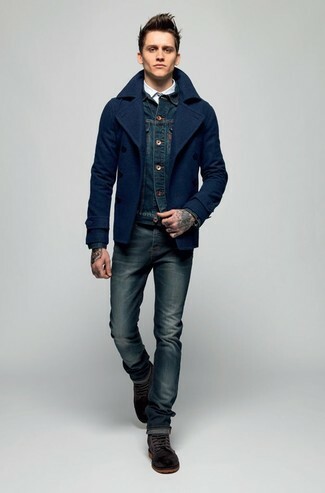 This combination of a navy pea coat and navy skinny jeans is incredibly stylish and yet it looks comfy and apt for anything. When it comes to shoes, this ensemble is complemented nicely with Andrew Marc dorchester chukka boot. Contrary to what you might believe, ensembleing stylish doesn't take that much the place of work. 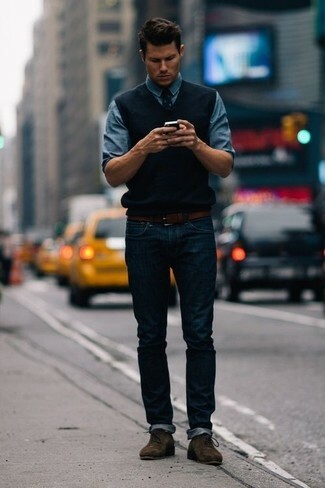 Just choose a black sweater vest and navy jeans and you'll look nice. For something more on the daring side to round off this getup, throw in a pair of Andrew Marc dorchester chukka boot from Nordstrom. 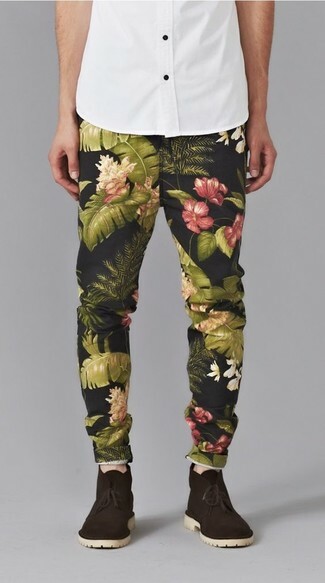 Try pairing a white short sleeve shirt with black floral chinos for an easy to wear, everyday look. You could perhaps get a little creative when it comes to footwear and elevate your getup with Andrew Marc dorchester chukka boot. Dress in a tan raincoat and black dress pants like a true gent. 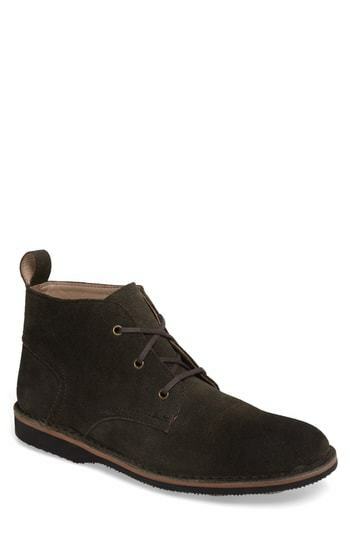 Make dark brown suede desert boots your footwear choice for a more relaxed feel. A grey overcoat and a grey vertical striped suit are great essentials to incorporate into your current wardrobe. For something more on the daring side to finish off this getup, make Andrew Marc dorchester chukka boot your footwear choice.